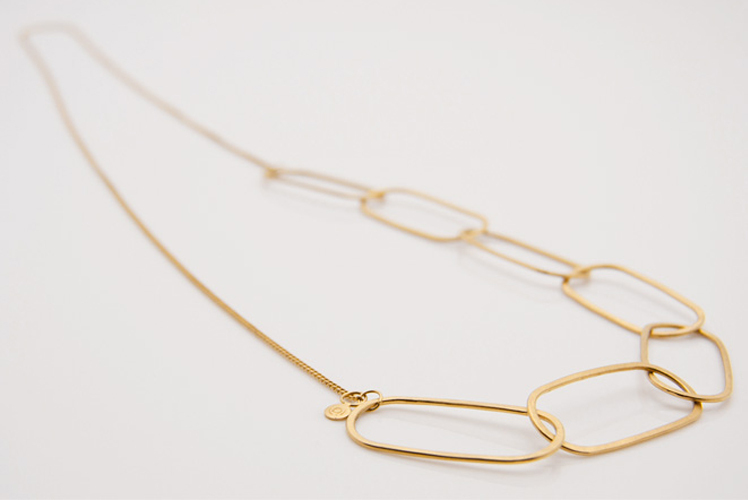 FK chats to Alison about her beautiful gold and silversmith label Alison Jackson. We love the timeless elegance and simplicity of Alison’s designs, not to mention her amazing studio in Canberra! Tell us a bit about Alison Jackson and what we can expect to discover? I’m a contemporary gold and silversmith. 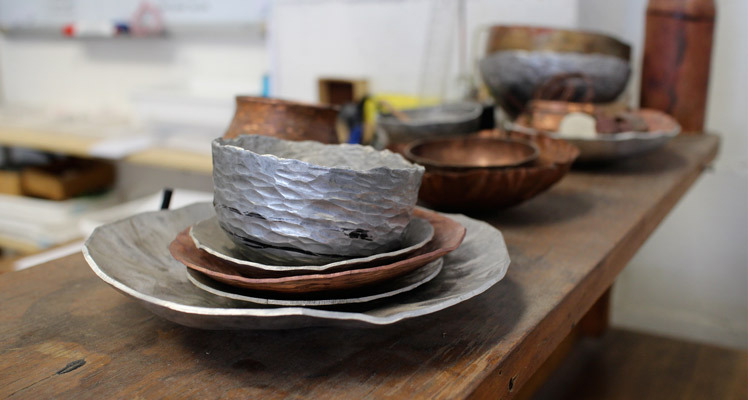 My practice is split equally between designing and hand making jewellery and tableware pieces. Over the last six years, my label has grown from a part time determination to keep making after completing my studies, to a full time business. 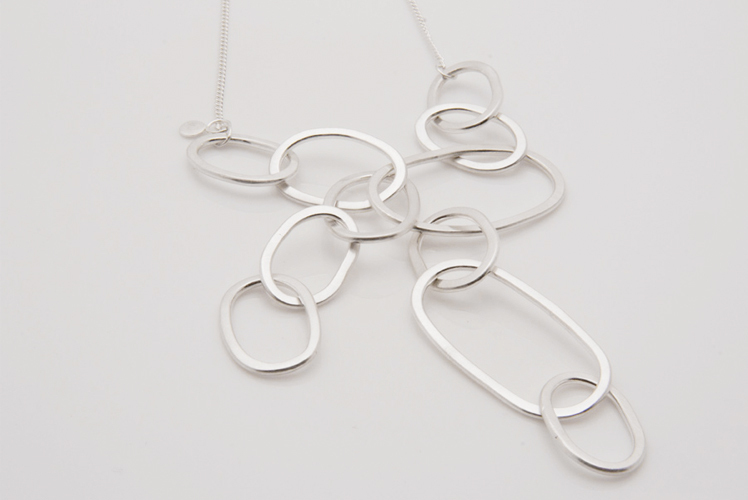 My jewellery collection is hand crafted from sterling silver, complimented with gold and oxidised finishes. Elegant simplicity is a key element to each of my designs. I draw inspiration from the clean lines of geometric shapes. Links are paired together form statement neck pieces and bracelets. 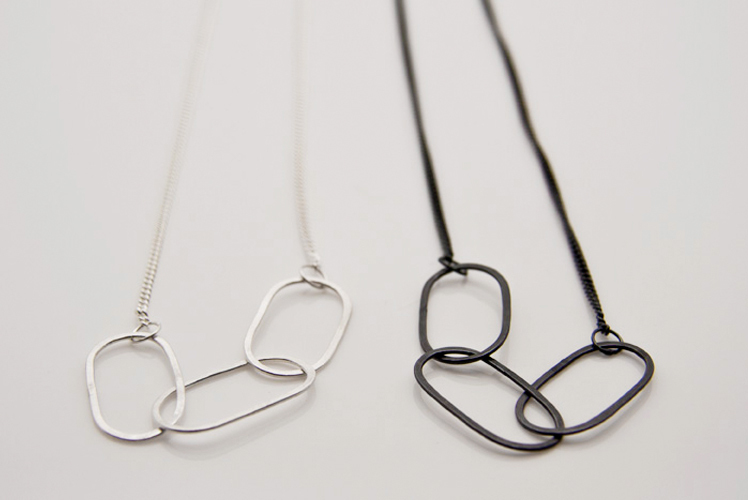 Clean cut shapes come together to create simple, stylish jewellery accessories and soft satin finishes contrast against the clean geometric lines of my collection. My tableware collection ranges from one-off exhibition and commission work through to my latest collection of small functional objects and cutlery designed for everyday use. I’ve always been a tinkerer. As a kid I hung out in my dad’s workshop under the house working on little projects. I think that’s where I developed a fascination for metal and making in general. It was my high school jewellery teacher Pip Keane who made me realise you could study gold and silversmithing and make a career out of it. After doing an after school jewellery class with Pip all through high school, I then moved from Sydney to Canberra to study at the ANU Art School. I completed my Bachelor of Visual Arts with Honours in Gold & Silversmithing in 2008 and at the same time I managed to find an amazing workshop space with a friend, the same space I work in now! Working with metal is actually all I’ve ever wanted to do, so I’m very lucky that I’m able do what I love each day. Timeless elegance and simplicity are important elements in my designs. I don’t design new collections each season, or each year. I like that a special piece of jewellery has a story about it, how it came to be yours and that you can treasure it, wearing it whenever and as much as you like. I think it’s a beautiful connection people form with their jewellery pieces. A lot of my designs have a simple elegance about them, they can just as easily be worn with your favourite t-shirt on a lazy Sunday afternoon as with a beautiful dress on an evening out. I’m pretty well surrounded by creative people… and that’s a great motivator! There is a really thriving creative community in Canberra that has been slowly growing over the last few years. It has given local artists and designers some great opportunities and exposure. My workspace is a small industrial workshop on the outskirts of Canberra. 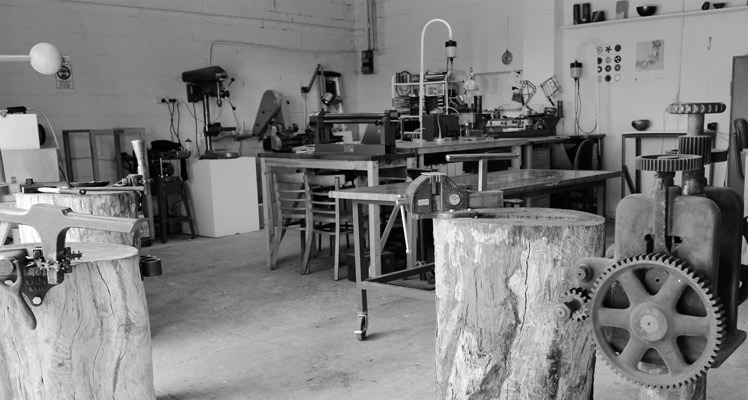 Over the last six years I’ve steadily built it up to be a fully equipped silversmithing studio. From my workshop I teach a range of courses and workshops as well as offer short term studio access for other jewellers. It’s a great open space that has everything I need – a designated teaching area, big benches that are great for computer work, packing orders, having meetings as well as all my specialised tools. My creative process involves a lot of experimentation – I always keep these experiments and half made pieces on display in the studio. Sometimes I’ll come back to an idea many years later. I play around with different techniques and materials, often it will be the process that dictates the direction of the form. The admin side of things has been a big learning curve for me. The most challenging thing has been juggling my time and getting use to the idea that the admin side of things is an essential part of keeping my business running! I absolutely love working for myself. Even though some days are very challenging, I love what I do and it is incredibly rewarding seeing my business grow and develop. What new projects are you working on and where would you like to see Alison Jackson in the future? This year is shaping up to be a really full on and exciting one! 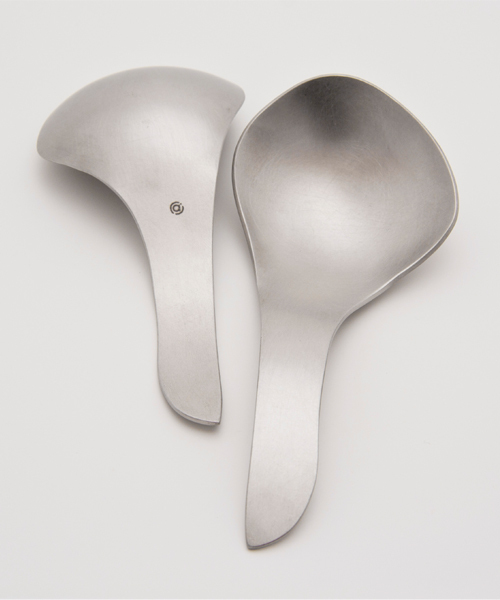 I am working on my new collection of tableware to accompany my already released Little Spoons. One of these products, Cheese Tools, has been selected to be exhibited at The Other Hemisphere exhibition at Milan Design Week in April representing &Company. I also have a wonderful photoshoot planned with the amazingly talented Christine Pobke to showcase my jewellery collection. Over the next few months I’m looking to take a pretty big leap and expand to get some helping hands with my production work, which should hopefully give me a little more time to prototype and develop some new collections.